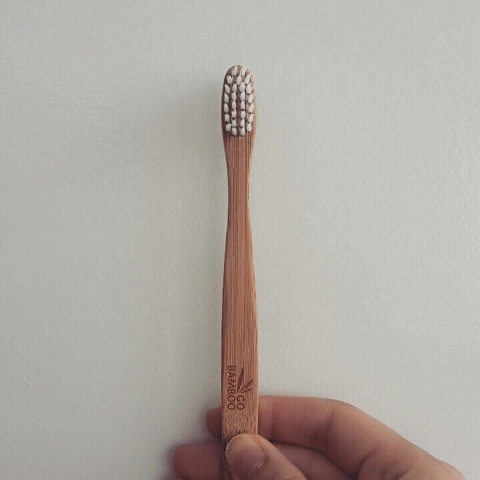 Bamboo toothbrushes are the ethical alternative to the many plastic ones we use. Bamboo is more compostable and we are starting to see many new brands popping up around us here in New Zealand: GoBamboo, Freshbrush, Grin. I tried a bamboo toothbrush from GoBamboo earlier this year to give it a go. First observation: bamboo toothbrushes are more expensive. If they were at the same price point as the plastic options more people would switch over easier. For the moment it would seem more of a conscious decision to go for the more ethical choice despite the price jump. Second observation: I felt like the bamboo was almost composting while keeping my teeth clean! Personally it was like having an old wooden chopstick entering my mouth twice a day. Don't think a lot of people will like that feeling, it was something I needed to get used to. Will I go back to another bamboo stick toothbrush? Yea, sure, I will give it another go. I just hope the prices will come down a bit soon.